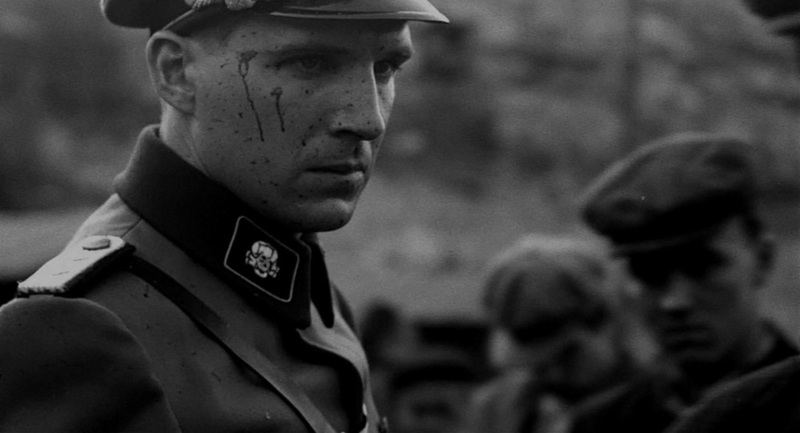 Schindler’s List is a masterful blend of direction, cinematography, scope, score and performances, resulting in an epic of overwhelming power that only a cynic would dismiss. WWII and The Holocaust were events of mind bending statistics and proportions. Tens of thousands dead in single bombing raids, 20+ million Soviets dead, 15+ million Chinese dead, 6+ million Poles dead, 7+ million Germans dead, 11 million the victim of Nazi genocide – it just beggars belief. The European and Pacific theatres were so dreadful, so massive, that it’s impossible for one to fully process it emotionally. Schindler’s List is one of the finest cinematic depictions of those dark years; a sweeping, brutal film that brings a remarkable story to the attention of millions of viewers. However, as with all historical films, it does not serve as the definitive source of information. It should be viewed not as a documentary but as a vivid gateway into the subject. The film follows Oskar Schindler (Liam Neeson), a Sudeten German businessman who reaped the benefits of slave labour during WWII. A man of imposing presence and great magnetism, he effortlessly charms his way through Nazi circles with sumptuous feasts and the sheer force of his personality. His networking soon rewards him with an enamelware factory in Kraków using Jewish labour. At this point Schindler appears largely indifferent to the persecution all around him, or rather he avoids confronting the ugly truth of the Nazis’ approaching final solution. Göth’s violence is depicted with no expurgation, he shoots dozens of defenceless people and never shows even a modicum of remorse, so fanatical is his hatred for them. The film is starkly brutal, there is no cinematic sheen, the scores that are shot bleed profusely as they fall to the ground like rag dolls. Like Adolf Eichmann, the logistics man responsible for the deportation of hundreds of thousands of Hungarian Jews, Fiennes’ depiction of Amon Göth is another example of Hannah Arendt’s phrase ‘the banality of evil’. It is a compelling depiction of one of the Third Reich’s most committed adherents, a man deeply entrenched in Nazi ideology that has lost almost all humanity. The relationship between Schindler and Göth and his SS cronies is quite uneasy for the viewer, for Schindler enjoys pushing the boundaries, he thrives off being a renegade. In one scene he kisses a Jewish woman in the presence of a whole party of SS officials, who cannot believe what they are seeing. 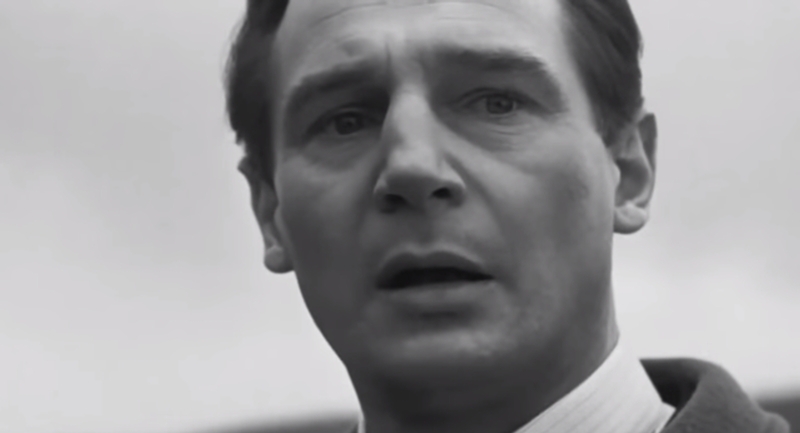 As the film progresses and Schindler realises both the abhorrence of the situation and his power to do something about it, something of a good vs. evil dichotomy arises. Deriders may say this is a simplistic construct, but it isn’t, they are two complex characters. Their exchanges shows that Schindler is the strongest leader between him, he has personality and charm, whereas Göth only has ruthless barbarism, something Göth realises and struggles with. The film has grand scope and many brilliant set pieces. A notable example is the famous ‘Red girl’ scene during the liquidation of the Krakow ghetto, it is very impressive logistically, there are countless extras who all need directing. Schindler, who is atop a hill witnessing the brutality below, is the camera’s point of view, following this little girl in a red coat (famously one of the few moments of colour in the film) as she navigates her way through all the murder and pillaging. The scale of the scenes at the Płaszów concentration camp is also considerable, particularly as great masses of prisoners, naked and completely dehumanised, are shuffled around like cattle for inspection. Interestingly, Spielberg said that Schindler really did see a red girl walk down the street unharmed during the liquidation; Spielberg then said that her bright red coat represented the obviousness of the Holocaust and how the Allied governments were aware of what was happening yet didn’t take any decisive actions in stopping it. I am not one for finding grand metaphors in an item such as a red coat, I think the scene is most interesting as a re-enactment of Schindler’s account, however I’m sure many would. Cinematographer Janusz Kaminski said that the film was shot in black and white so it would look ‘timeless’. I think the colouring achieved the desired effect, and I also think the film’s visceral edge and authenticity was achieved through the hand-held, shaky cinematography that would later work so well in Saving Private Ryan (1998). A great film will almost always have a great score, and it is no different with Schindler’s List as Spielberg once again found a masterful auditory companion in John Williams, whose beautifully melancholy score, particularly the central violin melody, has become instantly recognisable to many people. The depiction of the mass exhumation at Chujowa Górka (pictured above) is set against the backdrop of Immolation (With Our Lives, We Give Life), the stirring operatic vocals and chords of which make the scene almost apocalyptic. There is also notable use of Hebrew music, such as the ebullient Yerushalaim Shel Zahav and the haunting Oyf’n Pripetshek/Nacht Aktion. Even the trailer leaves a huge impression through music. ‘Exodus’, a work by the celebrated Polish composer Wojciech Kilar, has a brooding subtlety that emphasises the trailer’s ominous ambiguity, making its two minutes and twelve seconds most moving and unsettling. Firstly, around 1200 were saved, not 600. 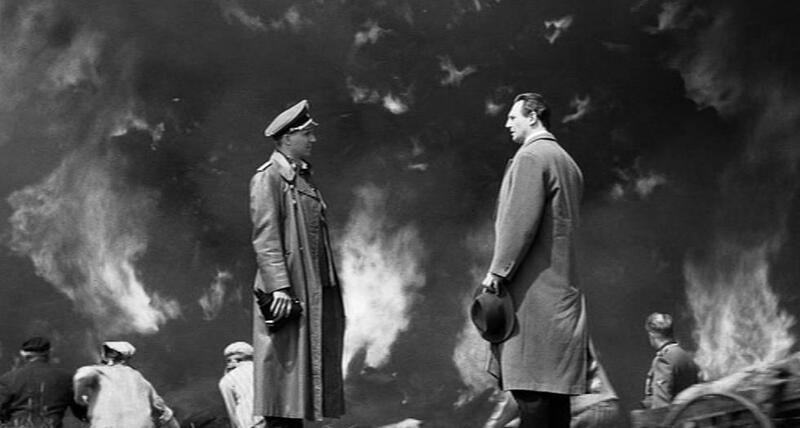 Kubrick suggests that ‘Schindler’s List’ is somehow a sugar-coated account of the Holocaust, it certainly isn’t. It is a true story, Oskar Schindler really did save 1200 people, it isn’t a fanciful, maudlin figment of a screenwriter’s imagination. It is an emotionally affecting yet tactful depiction of both the systematic murder of scores of defenceless people and a complicated man’s remarkable act of humanity in the face of unimaginable suffering. 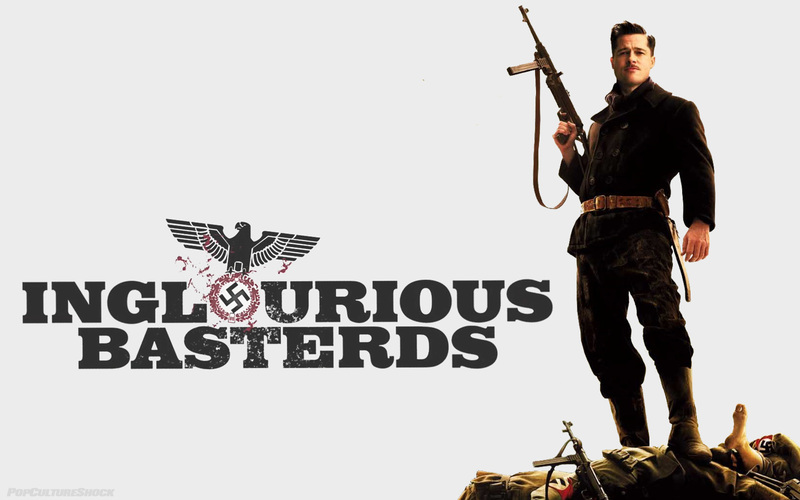 ‘Inglourious Basterds’ is not a film to be taken seriously, it’s a farce. Firstly, many of its characters are caricatures, especially Brad Pitt’s role Lieutenant Aldo Raine, who speaks in an exaggerated southern drawl. Secondly, the story completely rewrites history in grand, bloody fashion. Overall, I found the film to be good fun; I found its total disregard for history to be refreshing. It has been called ‘juvenile’, to those people I say “lighten up”. Its characters, context and plotting seem to have annoyed many people. The majority of the negative reviews I have read on IMDb are unfair and written by people who are cine-illiterate and sometimes downright illiterate. To dislike this film is understandable, but to give it 1/10 is immature and makes their opinion completely invalid. Many will find it distasteful, and it is, the German soldiers aren’t considered people by the Basterds; some deserve their violent treatment, others do not. However, contrary to popular belief, the film isn’t crammed full of violence. It certainly has graphic outbursts, but it isn’t pervasive. Instead, much of the film consists of dialogue delivered by its strong cast, constructing its rather large, multi- character story. The main acting credit of course goes to Christoph Waltz, whose turn as the intelligent, ruthless and utterly inescapable Col. Hans Landa is a highlight of the film. There are moments that are removed from the farcical features of the film, notably the tense farm house interrogation and the basement bar scene, both of which are superbly constructed and acted. Think ‘The Lives of Others’ only with characters that face far more brutal consequences. I quite like the film’s story and plotting, it’s a long film but I didn’t grow tired of it like some people have. I didn’t expect the film to incorporate so many characters, I didn’t expect its scope. It’s interesting to wonder what the film would’ve been like if it had adopted a ‘Reservoir Dogs’ approach, it could have been a stripped down thriller that closely followed the Basterds’ exploits, it may well have been a better film. Instead it’s more related to ‘Pulp Fiction’, a lengthy film with many characters and a marked tone of black humour, however ‘Inglorious Basterds’ isn’t as funny or as interesting. Tarantino’s methods of film-making are questionable. For example, I’ve heard he refuses to hire composers as he doesn’t want another crew member to have that degree of influence over his work. Some think his total control over his productions is becoming his downfall, and those claims could have credibility. He’s an auteur some may say, I say he sounds like a control freak, however I understand he has a very particular vision. It would be interesting to see him work on projects that aren’t completely his own. Working that way would see his career become more prolific and hopefully would avoid him making awful genre referential trash like ‘Death Proof’ again. ‘Inglourious Basterds’ is a great addition to his canon that’s original and in possession of all the entertaining earmarks of a true Tarantino film.